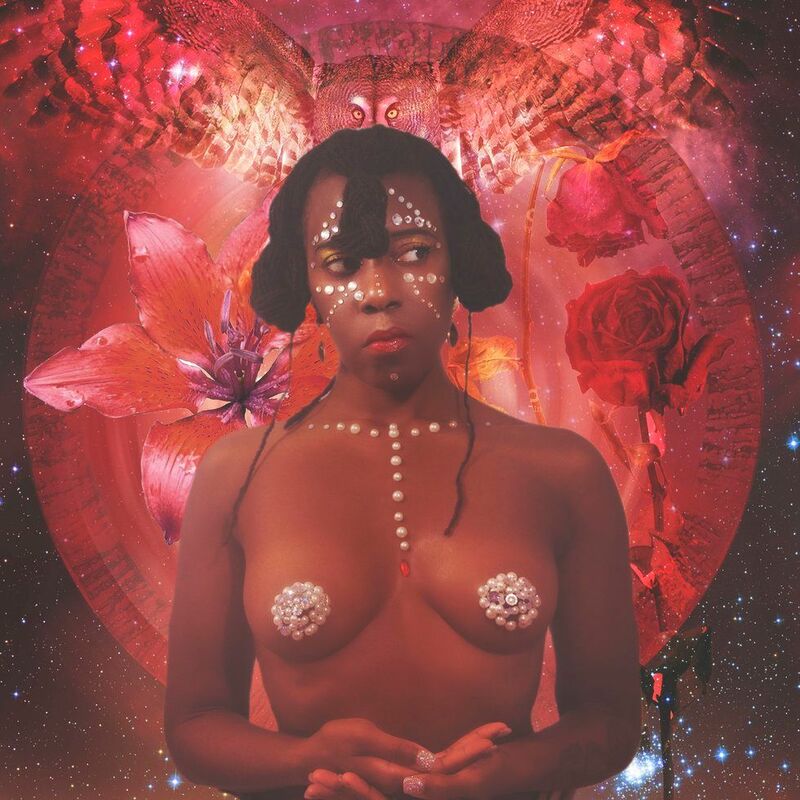 Francine Thirteen takes "Sexual Healing" to a more spiritual level. 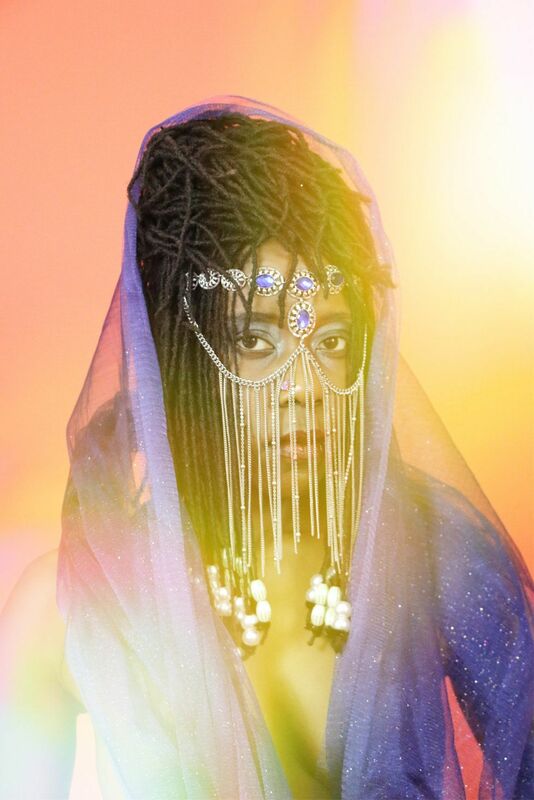 The independent artist developed her own genre and aesthetic called "Ritual Pop," which ties into her own spirituality, and this idea of healing through music. And, no, it isn't the same as Gospel — far from it. Ritual pop is soulful, but much more spiritual in the sense that it has an unmistakable ethereal feel. While the singer grew up going to church every Sunday, she's divorced herself from that life and has traced her roots all the way to Sumer, the earliest civilization in southern Mesopotamia. Still, she brings some things from the faith she grew up in. "I grew up going to church every Sunday. The one takeaway that stuck with me always was how tone affected people," she tells PAPER. "I sang in the choir — was forced to. Luckily, it turned into a love of performance, and a love of music. I've always been a singer "
Around around three years ago, she began to put her work out there. Her music has been featured by Noisey, NPR, Okayafrica,and Afropunk, among others. Now, she premieres her latest single and music video, "Live In My Grace," exclusively with PAPER. Ritual pop is a genre and aesthetic that I created for my music because of its themes. It deals a lot with metaphysics and spirituality, so that kind of covers the lyrics and the content of the music itself. And then the "ritual" aspect has a lot to do with the performance of the music. Each performance that I do is kind of its own ceremony. Pop, of course, there's a lot of those elements in my music. What does the creation of Ritual Pop mean to you? I think that there is a desire for public ritual, to be honest. It's not that we don't necessarily have it. Obviously, if a dignitary passes, or if the heads of state pass, we all mourn that ceremoniously, and so on and so forth. But I think in a more in-your-face sort of way, something that's still very much rooted in a public coming together in a celebration, or going into different archetypes is something that is craved. And so, I kind of wanted to tap into that really. Have you always been a spiritual person? Absolutely! I was definitely raised in a Southern Baptist upbringing, but there was something else going on in my family in terms of Afro-indigenous spiritual link and practice. I kind of just became no longer affiliated with the Christian part, and really tapped into the roots culture and roots spirituality part. What made you first decide you wanted to make this genre that speaks to your spirituality? It was definitely a journey. I really didn't necessarily think that I was going to make a go of it until I transitioned out of some older bands I used to play in. I was making noise in industrial bands for a long time. I really have another way to describe it other than a spiritual awakening, or an epiphany of sorts that set me on the path of "Francine Thirteen." I really was divinely-guided. "The song is really about integrating the two, taking ownership of both terms and both ideas about female sexuality, and allowing a woman to control that word to her own end, to her own pleasure." When people listen to your music, what do you want them to get from it? I really want them to get everything that I do with archetype. I really like to explore different archetypes, and allow that to heal different aspects of the psyche and of the self. That's very ambitious, but a lot of that has to do with what they would make of a different archetype I put before you. So, really, when I'm creating the music, it's self-healing. And then when I'm planning on giving this art or giving the music to people at that point, I'm hoping they will unlock that healing within themselves. In what way does "Live In My Grace" heal? The song is looking at the virgin-whore dichotomy, and it really started with looking at the ways I feel women are still torn apart along the lines of sexuality. We're not allowed to just be expressive without being judged, or without having it be something that would have to be in service of someone else. It manifests itself in terms of us putting some women on a pedestal, and denigrating others. The song is really about integrating the two, taking ownership of both terms and both ideas about female sexuality, and allowing a woman to control that word to her own end, to her own pleasure. That's really the only way that anyone is healed. It is also looking kind of at the way society is split apart in terms of political movements, and looking at the way that the female sexuality is highly political and politicized. It's very easy for women to split themselves in two. It's really about that kind of integration, and taking away the powers from the forces that would have us turn against ourselves. What was the idea going into the production of the music video? It was really about self-surrender. I really immersed myself in a lot of Sumerian mythology, a lot of goddess stories. I was very much so fascinated by Inanna and her descent into the underworld, and what that meant in terms of becoming someone whose crown can no longer be taken because she's been through this initiation process. My approach to the song was, "You can say that I'm a whore, or you can say that I'm perfect, that I'm in that particular prison. But this is my power."